Kevin Spacey won a drama award recently for reviving London's historic Old Vic Theatre. He was given a special prize at the Evening Standard Theatre Awards "for bringing new life to the Old Vic." Spacey took charge of the theatre in 2003 and began a series of acclaimed productions (including the recent revival of David Mamet's Speed-the-Plow starring Spacey and Jeff Goldblum). 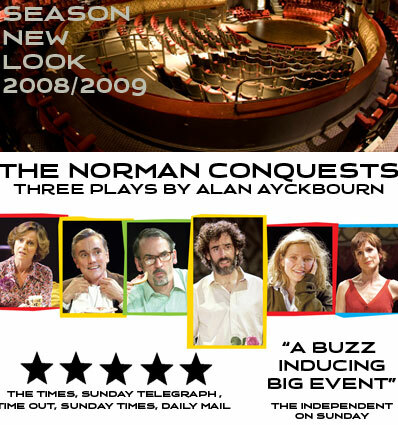 The theatre is currently showing Alan Ayckbourn's The Norman Conquests. 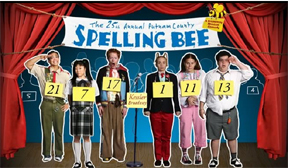 On Tuesday, I took Quentin to see The 25th annual Putnam County Spelling Bee. I was nervous because the last time I took him to a play, Seussical, we had to leave at intermission (and I had bought good seats). He was only three at the time and actually did pretty well until his father put a piece of gum in his mouth and did not have another piece to offer Quentin. Three-year-old meltdown. I'm sure the cast still remembers us - as we exited the building with a three-year-old making more noise than any of them. I was not worried about a meltdown this time but boredom. He loved it though. He laughed so hard I had to tell him to keep his voice down a few times. And there was no intermission even! So that was two of the main cast with Web sites and blogs. Only two. In the entertainment industry. I thought it would have been at least 50%. New Stage Theatre in Jackon will hold open auditions on August 11 for adult actors for its upcoming season. The theatre is seeking all types of male and female adult actors and singers, from age 18 to 80, to portray roles in A Raisin in the Sun by Lorraine Hansberry; A Christmas Carol by Charles Dickens, adapted by Ivan Rider; Doubt by John Patrick Shanley; First Baptist of Ivy Gap by Ron Osborne; The Fantasticks by Tom Jones and Harvey Schmidt; and The Eudora Welty New Play Series. Show dates range from October 2007 to June 2008. Call the theatre at (601) 948-3533 Ext. 222 for an audition appointment. A one- to two-minute memorized monologue and a recent photo are required for audition. The deadline to sign up is August 9. The producers of an off-Broadway show, My First Time, are giving away free tickets to anyone who can demonstrate his or her chastity. How do you demonstrate your virginal state? (Not to worry, ladies - not in the stirrups.) Producer Ken Davenport said a hypnotist would screen people standing in line for the free tickets to determine their status. The "virgin" stunt serves the subject of the play, "which is to get people to talk about their first sexual experience, something that almost any person on the planet has in common, whether in the United States or Rome," Davenport said. The show is based on a decade-old Web site that invites people to anonymously share their stories about losing their virginity. The human lie detector, Sebastian Black, describes himself as a mind reader and a psychic hypnotist. "He's a master of body language and tone of voice," Davenport said. Davenport could not say how many actual virgins were likely to be admitted to the theater for Thursday night's opening. "There are a limited number of 'virgin tickets' available," he said. "However, there are not that many virgins in New York City." If you are not eligible for free tickets, you can always visit the Web site and rate your first time. I started writing this play to enter into the 10-minute play contest sponsored by Theatre Oxford. But after I started writing it, I felt like what I had to say could not be said in 10 minutes... that there was much more there. Flowers for the Dead is a re-imagining of Streetcar Named Desire, with Stella and Stanley now owners of one of the only bars that stay open before, during and after Hurricane Katrina. The beginnings of the play is attached below in Word format. There is adult language used, so if that offends you, don't open the document. I'm posting it here now to force myself (perhaps) to finish it now that all of you know about it and to get feedback. I'm still unsure whether it will be a one-act or full play, but I guess I'll just have to figure it out as I go along! 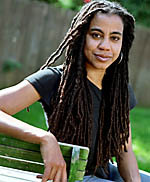 On Nov. 13, 2002 , playwright Suzan-Lori Parks decided to write a play every day for an entire year - nothing Shakespearean, just "whatever happened to fall out of the sky that day." The result is 365 Days/365 Plays - and the largest theatrical collaboration in U.S. theatre history, as this fall over 600 theatres will produce a week's worth of plays starting on Nov. 13, 2006 (of course). 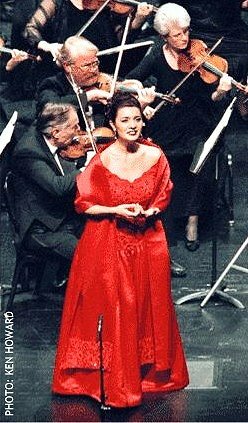 Three years after her Met triumph, she won Placido Domingo's high-profile singing competition, the Operalia - and since then, the world has been her oyster. If you want to check her out for yourself, she will appear at the Chicago Lyric Opera on Feb. 25 for Gluck's Orfeo ed Euridice and in June she will make her debut at London's Royal Opera House. The show will be directed and choreographed by Kathleen Marshall. Buy tickets here.